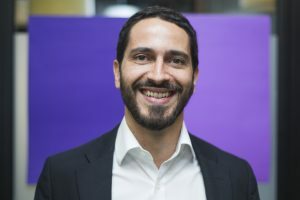 PhD in Law from the University of São Paulo (USP), has a Master’s Degree in Law from Harvard University, and studied Law in an Undergraduate level also at USP. He is a Law professor at the Rio de Janeiro State University (UERJ) and a visiting researcher at MIT Lab. He was a visiting professor at Princeton University, affiliated with the Information Technology Policy Center. Ronaldo was also a visiting professor at the Oxford University (Michaelmans term, 2005). He us the Director of the Creative Commons project in Brazil and Co-founder of the project Overmundo, which won the Golden Nica in the Digital Communications category ate the Prix Ars Eelteronica in 2007. He is a member of the Social Communications Council, created by article 224 of the Brazilian Constitution, with headquarters in the Federal Senate. He is a Liaison Officer at MIT Media Lab for Brazil and member of the Administration Council of Mozilla Foundation. He is one of the Co-founders and a Director of the Institute for Technology & Society of Rio de Janeiro (ITS Rio).